It’s 5:30 a.m., on Aug. 29, 2015. 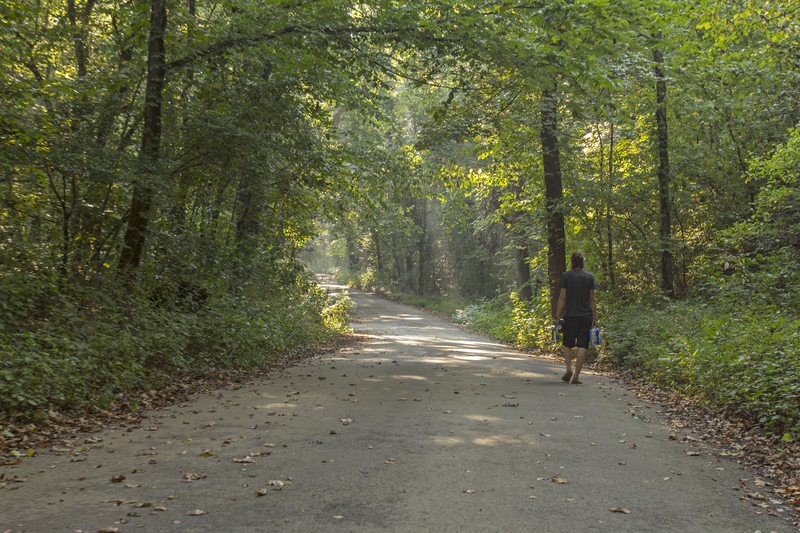 The headlights of our Subaru are illuminating a twisted gravel road through the Ozark hills of southern Missouri, leading us down a gradual slope to a river access that we have never been to before. 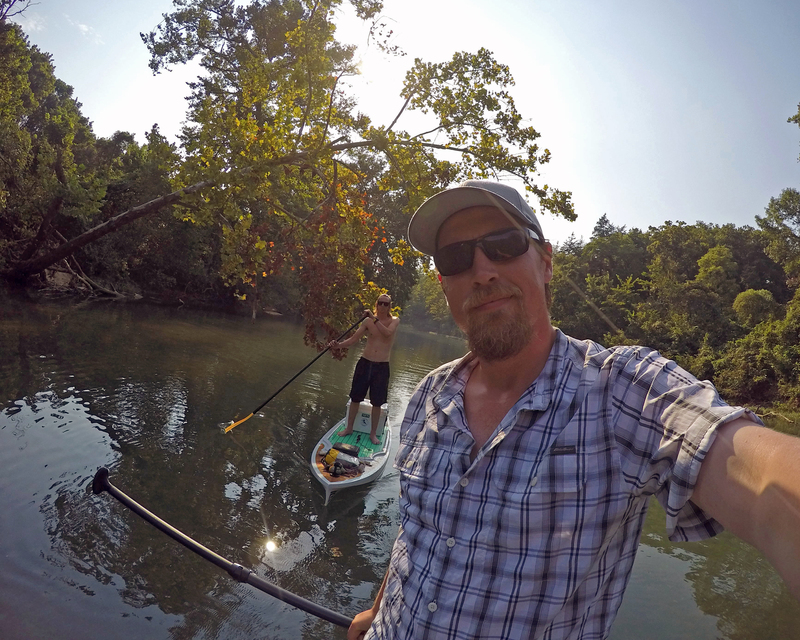 The plan was for two brothers to paddle board the first 105 miles of the Current River, located in the Ozark National Scenic Riverways. Although this was a river we knew very well, we had never started a paddling trip of any kind this high on the river. We finally found the access point known as Tan Vat, just below Montauk State Park’s southeast border. The sound of the river filled the air as soon as we stepped out of our vehicle. We figured that this excursion might take about a week, so we had to carry all the gear we would need for that length of time on board. We organized and tied down dry bags containing camping gear, food, fishing supplies, cameras and other necessities. 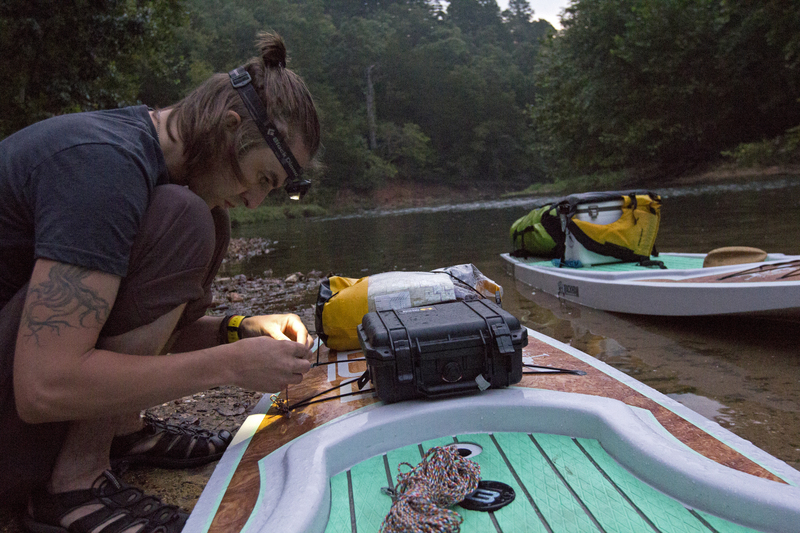 Lightning bugs flickered, and the screech of cicadas echoed down the river valley as we loaded our paddle boards by the glow of our headlamps. 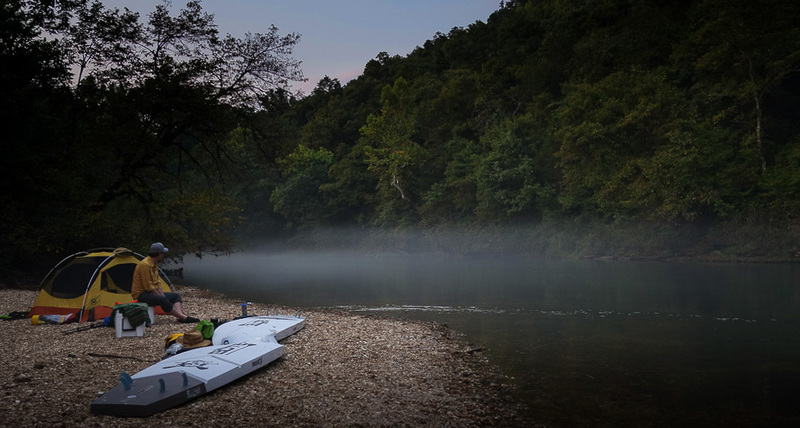 Having never paddle boarded on a river before (and knowing we had to average 15 miles a day), we thought it would be a good idea to get an early start. While loading the boards, rain drops began to fall and the sound of thunder could be heard in the distance. 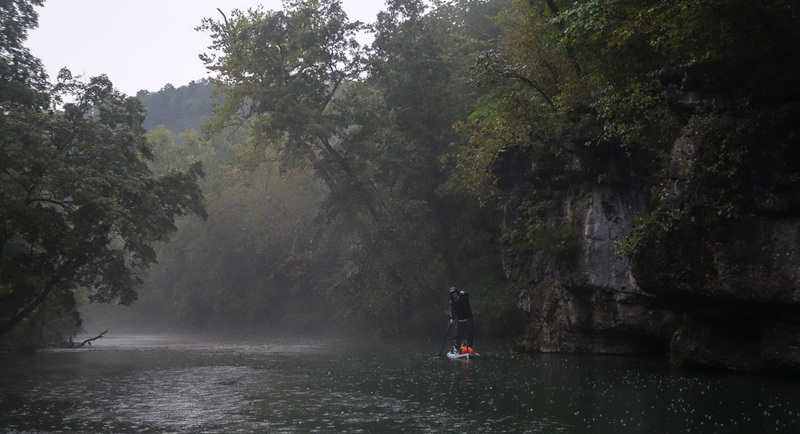 So not only would we be trying to stand up paddle board on the Current River for the first time, we would be doing it in the rain storm. 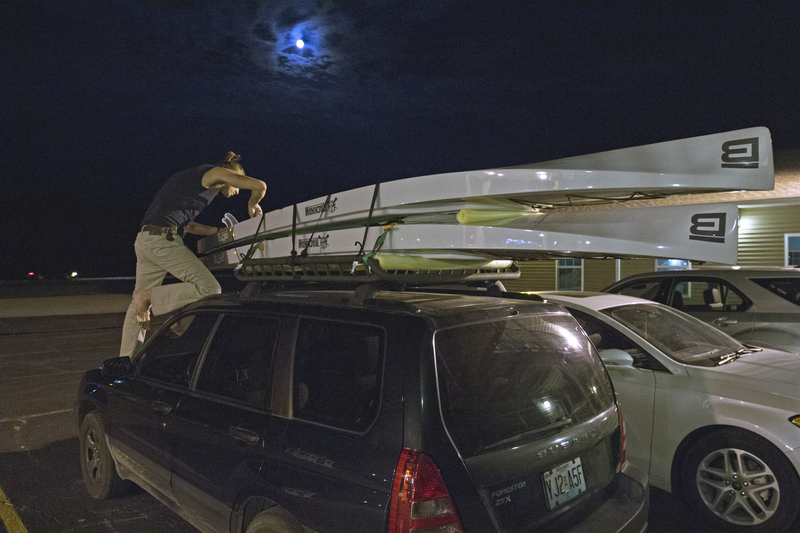 As we pushed off in the pouring rain, a wild mix of emotions sloshed around in our heads, along with gear lists, logistics and the fact that we taught ourselves how to paddle board only weeks before this very moment. The shallow water and rain made the first 10 miles or so tough and slow going. The shallow, quick moving water mixed with boulders had us paddling on our knees, and occasionally hopping off to save the boards. If we were standing while we hit shallow waters or a rock, we would get sent flying into the river. Below Cedar Grove, Mo., the river got slightly bigger, relieving us from our shallow water issues. We started to notice how great the vantage point was from the stand up paddle board. Sitting in a canoe, as we had done for years, the view is somewhat limited. But on the paddle boards, we could look straight down into the water and far up onto the banks. 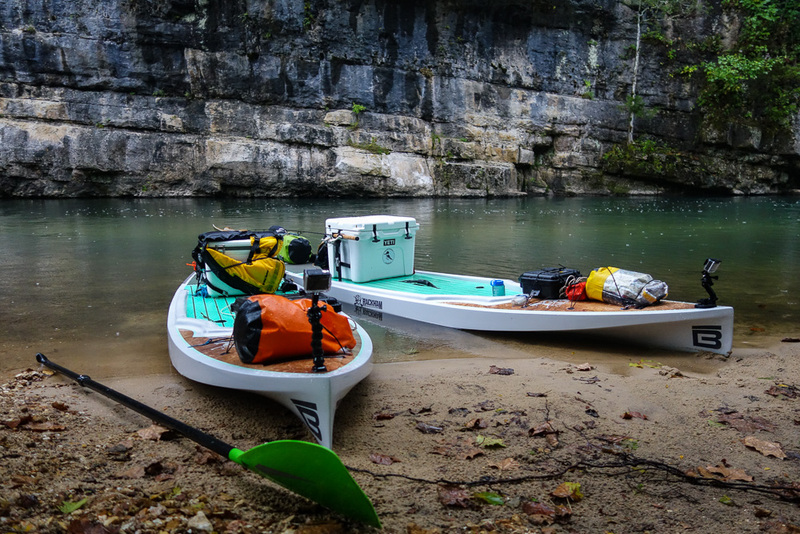 The BOTE stand up paddleboards we used are designed for expedition-style trips. 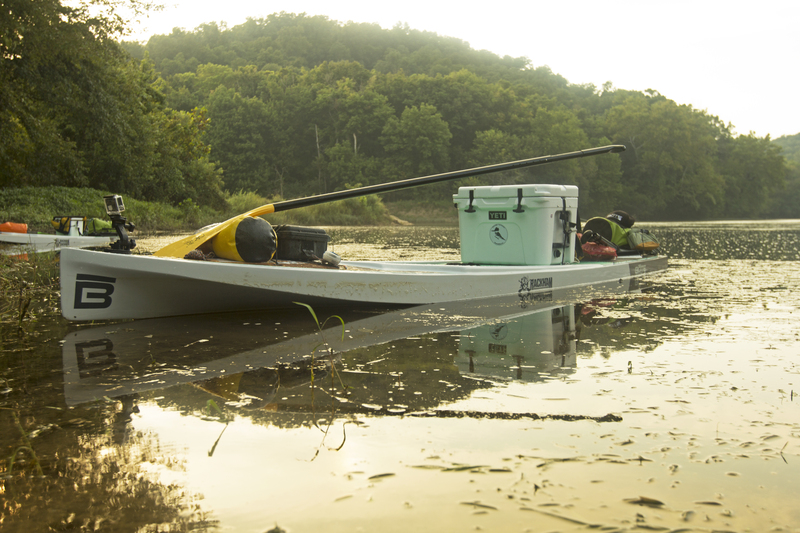 Capable of holding up to 400 pounds, they have anchors for strapping down a small cooler and bungees that can keep eight days worth of gear, food and camera equipment on lock down. We kept the meals simple, basically because we couldn’t bring a lot of cooking supplies. Although we did decide while packing that we could spare some room for fresh fruits and vegetables. Special thanks to Thirsty Root Gardens for the box of vegetables, and Anita at Two River for hooking us up with homegrown tomatoes. Watching fog roll across the river, during our first sunset of the expedition was a perfect way to end the day. At some point on the second or third day, we really started to feel comfortable on the boards. We started to learn how to use the swift currents through rapids to our advantage. We stopped in at Akers Ferry to talk with owner Gene Maggard about what to expect downriver. He warned us about “strainers,” fallen trees that had been washed down river that pile up and create dangerous log jams. Learning new river slang was definitely a highlight of the visit. Gene also helped us shuttle our vehicle to the other end of the riverways, and he warned us that because our takeout point was in a remote location, we would feel like we were the only ones there. Perfect! We have visited Cave Spring many times, and this was an amazing new way to see one of our favorite places. The routine of camp life sets in. Sight fishing from the boards was incredible. 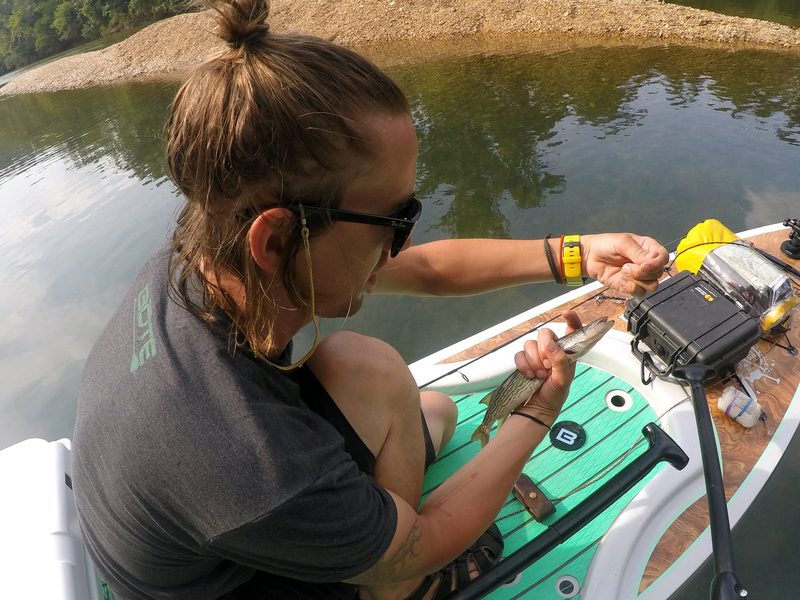 Paddling so many miles kept us busy but we still managed to land quit a few fish such as trout, Goggle-Eye, Sunfish, Smallmouth Bass and even this Pickerel, a.k.a the Southern Pike. 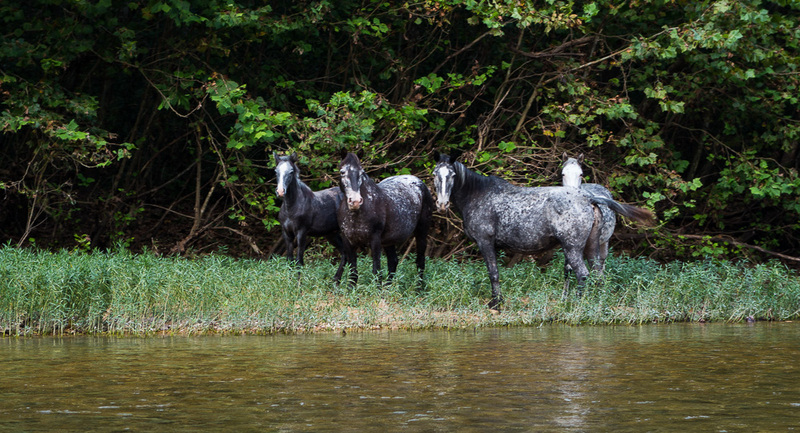 Whether we are backpacking the Ozark Trail or paddling the river, its always an honor to run into the wild horses that roam the river valley. 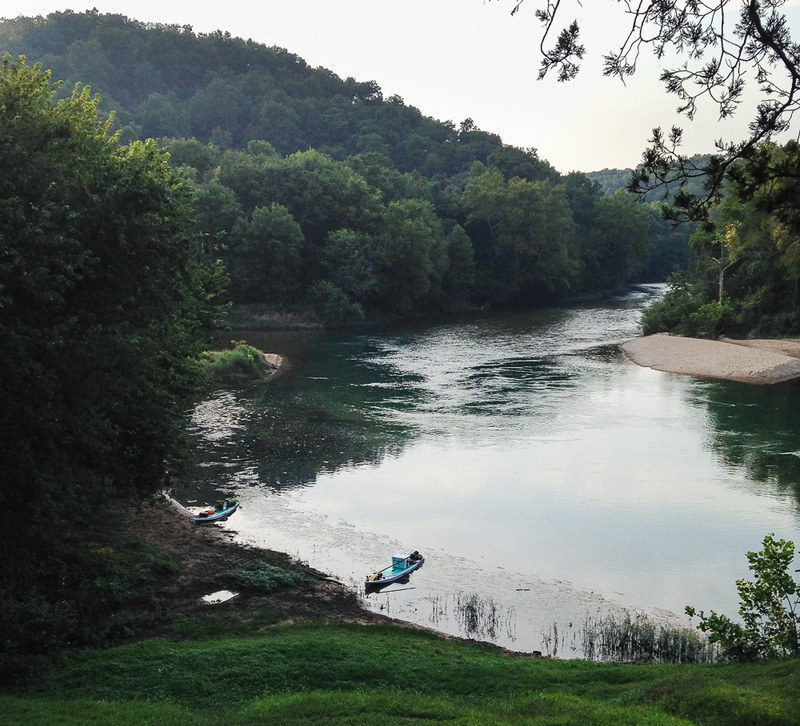 The confluence of the Current and Jacks Fork, known as Two Rivers. 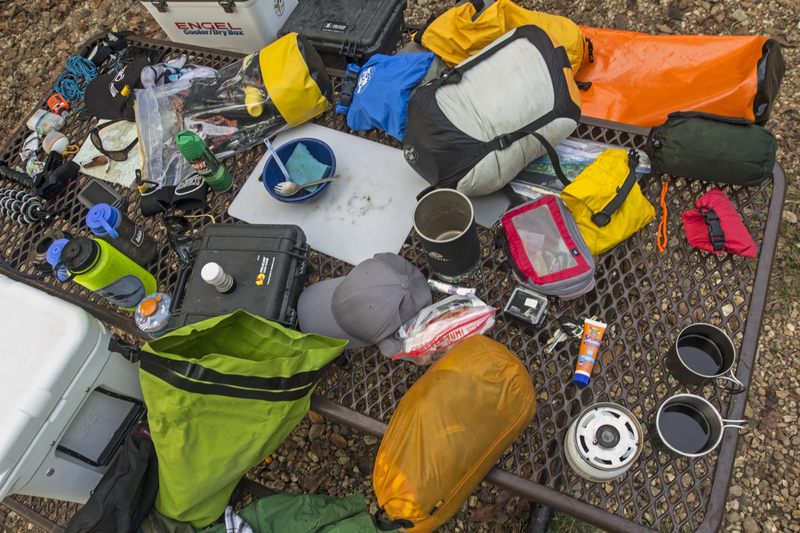 We try to be efficient packers in the backcountry, and it felt good using every piece of gear brought almost every day. After camping and re-supplying at Two Rivers, we set off on the Lower Current. 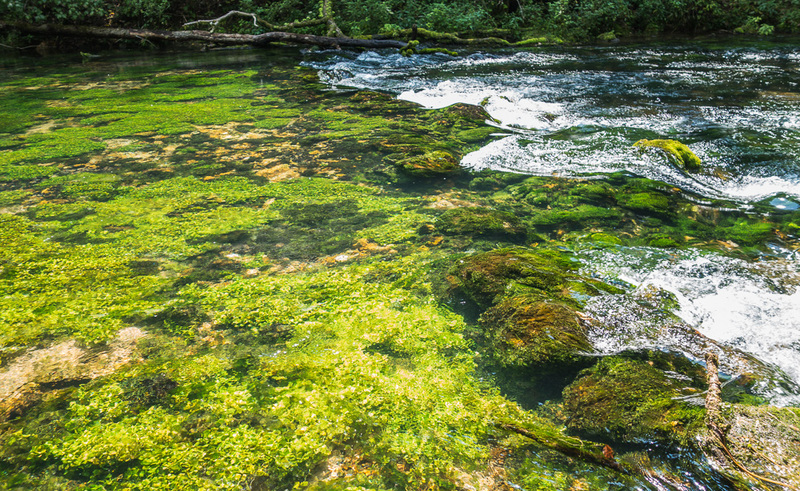 With every tributary, the river grew deeper, bluer, wider and more vast. 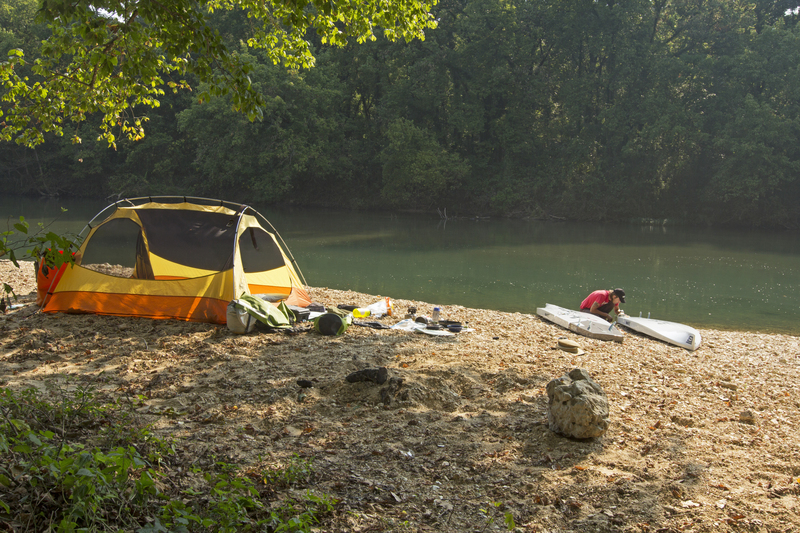 Sometimes, being on the Current River in the middle of the week can make you feel as if you’re the only people on Earth … and it’s awesome! A morning meeting to discuss the plans for the day. We were cruising downriver, making good time with the potential to finish early, but this was “strange country” according to Gene from Akers Ferry. 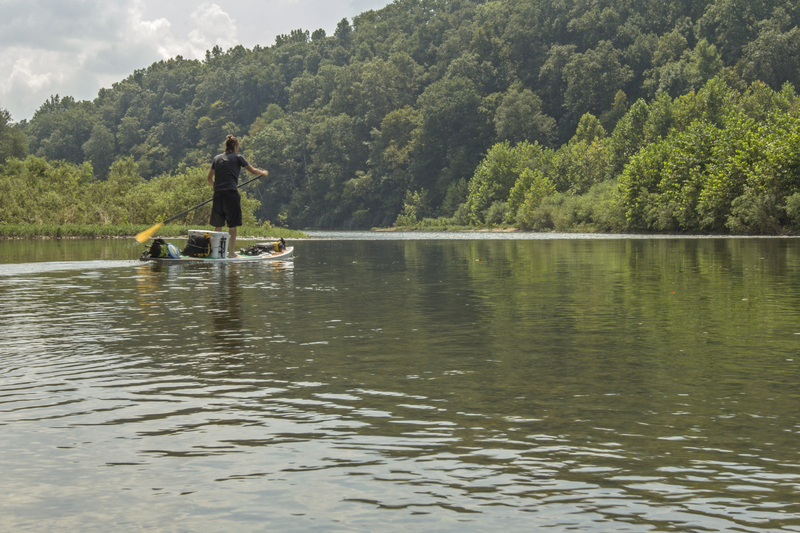 We were not as familiar with this part of the river — it was wider, deeper, flatter and seemed slower. 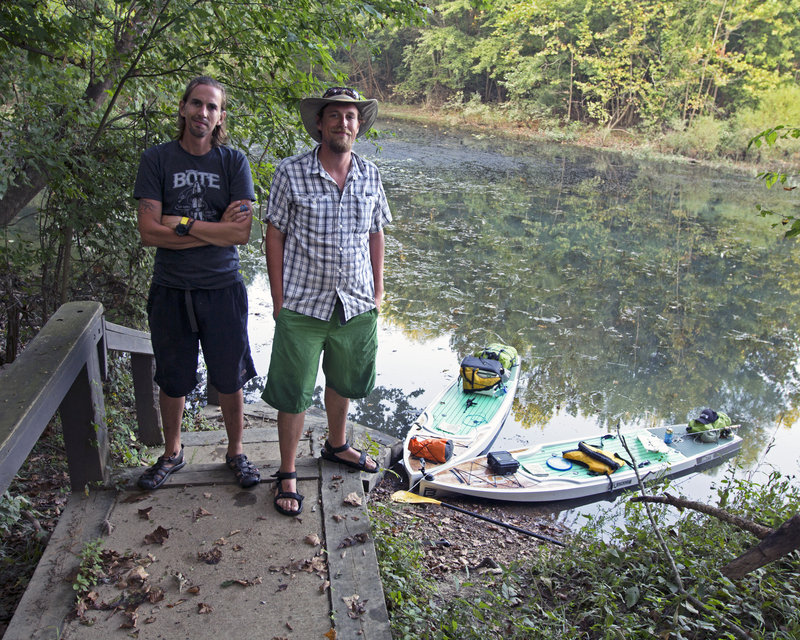 After 105 miles and 7 days on the river (interactive map), we arrived at Gooseneck Access. 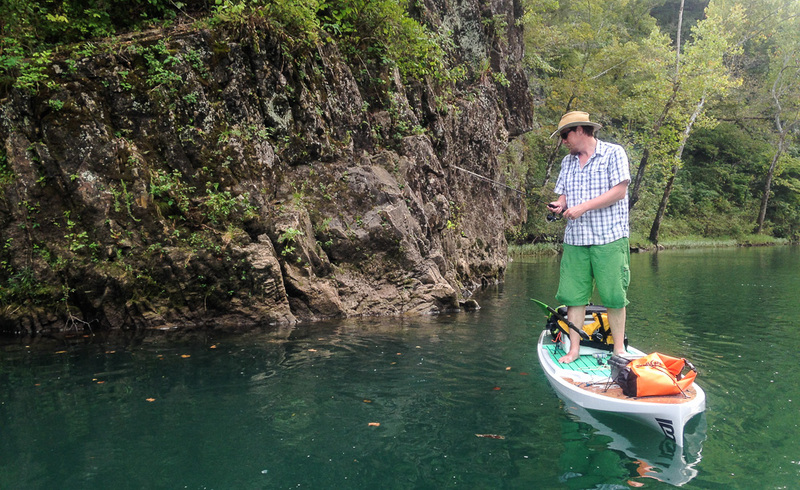 Spending a week on the Current River reminded us why we love this waterway. 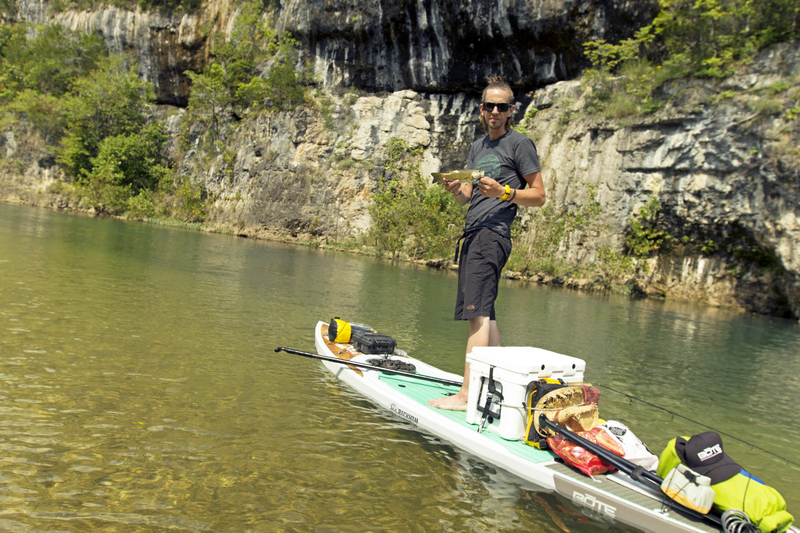 Our new favorite sport, stand up paddle boarding, may be the best way to experience it. Thanks for allowing me to live vicariously through your travels. I can only dream of a similar excursion. Cheers! Excellent chronicle! Who’s the photographer…great job! Thanks Tammy! It was just the two of us. We shot all the footage and photos ourselves. I enjoyed this post. Your pictures are great. They do justice to a beautiful river. Incredible story and thanks for sharing! 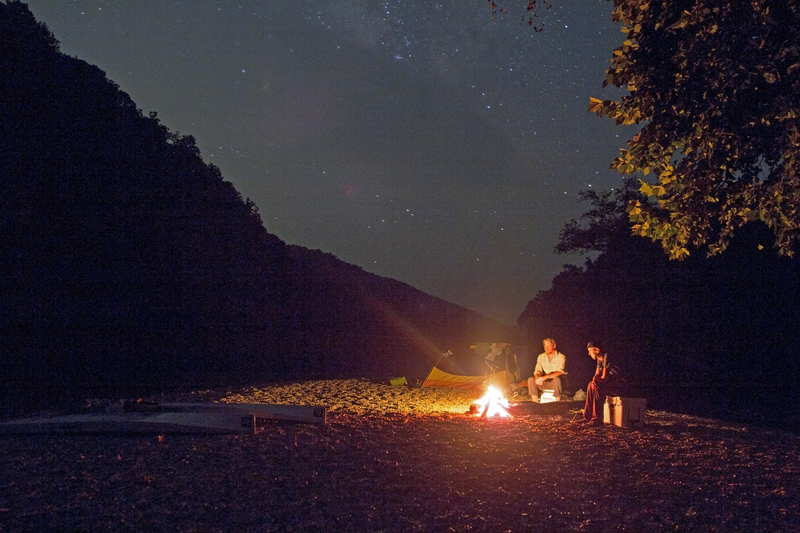 You two help keep the fire burning for the Ozarks! 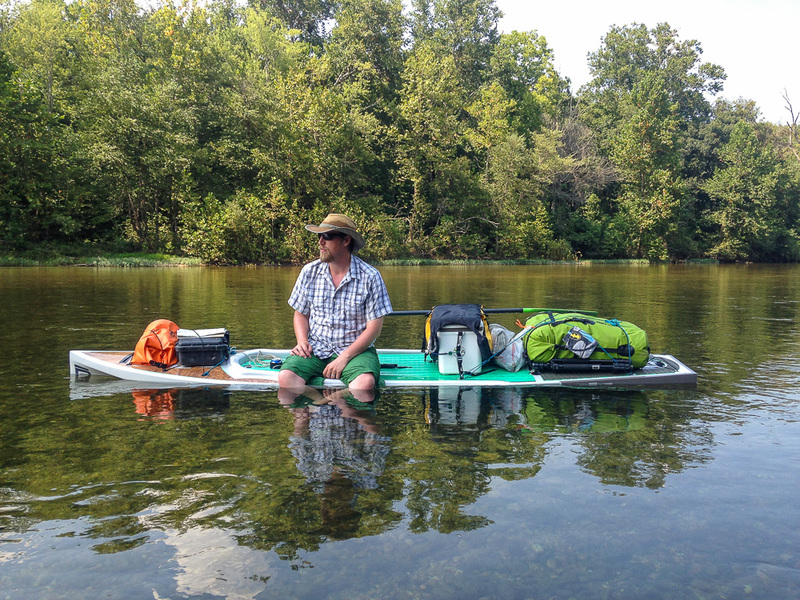 Overall, is SUP > Kayak/Canoe for extended floats? ohhhh my, I lust for those boards. Beautifully done. I admire you for taking on such a big adventure only shortly after getting your boards. Thanks for sharing your fantastic adventure with the rest of us. I was amazed with your great photography. Very well done.